kingstonlake wrote: Yankees looking at Fulmer? That's like saying I want to go on a date with Eliza Dushku if she'll just hear me out. 66-96 Putting my prediction on page one. We stay under 100 losses. Barely. I've been through the highest of highs with the Tigers, and the lowest of lows. But still nothing like watching a game on a nice summer day with a friend a beer and a bag of peanuts. Do you have anything more relate-able? I don't do the dark web thing. I'd trade Fulmer to the Yankees for the right return. Might be better off waiting until the trade deadline when teams are desperate and willing to give up more. You guys could try to be Marlin fans! Just gotta trade Fulmer and Castellanos and that should be it. After that we wait. We're gonna need that money to bring back Fernando Rodney. Welcome to the Ralph Houk years. tGreenWay wrote: Welcome to the Ralph Houk years. I' interested in seeing how ticket prices shake out with the flex pricing the club adopted a couple of years ago. New details about a trade package the Yankees made to the Tigers for former Rookie of the Year Michael Fulmer have been leaked. According to Bill Brink of the Pittsburgh Post-Gazette, the Yankees made an offer to the Tigers that included outfielder Clint Frazier, infielders Tyler Wade and Thairo Estrada, and some pitchers that have yet to reach the majors, but the offer was rejected by Tigers general manager Al Avila. Assuming the pitchers without MLB experience were Chance Adams and another promising pitching prospect, this is a somewhat reasonable offer to make for a young, controllable, and cheap starter like Fulmer, but is also not attractive enough to seal the deal. According to multiple sources, the Yankees have been unwilling to discuss their best prospect, infielder Gleyber Torres, in any trade talks. This is likely a deal breaker for many teams entertaining trade offers for their starting pitching talent. Torres is arguably the top prospect in all of baseball right now and an enviable talent to possess for both the Yankees and potential trade partners. For a team like the Tigers entering a serious rebuild, holding out for this level of talent is certainly the right thing to do. That said, the offer that was made and rejected is far from insulting. Clint Frazier, acquired from Cleveland for Andrew Miller is a former top-50 prospect and an attractive outfielder that would be ideal to build around in Detroit. Chance Adams is a top-100 prospect as well, and likely to reach the majors in 2018 after excelling last year in Double-A and Triple-A. Tyler Wade is a versatile high contact, low power infielder with speed that has hit over .300 in his career in the minors after being drafted in 2013. Estrada spent 2017 in Double-A and has a similar profile to Wade but with more power and less speed. If the Yankees were to include another pitching prospect like Albert Abreu or Jorge Guzman, it’s a tempting offer that would fill many positions of need for the Tigers and give them solid talent to build on. But if we’re talking about a young ace like Fulmer, the Tigers need to hold out for top star talent. The Tigers will be looking to build and find the next core of a contending team and simply getting a few useful major league pieces is not good enough. They need to draft and trade for stars, especially when their biggest trade chip is of the level of star they seek. And in this case, Avila was right to turn down this offer. If the Yankees desire Fulmer, they will need to part with Torres. Just saw this comment, Floyd. As to flex prices, I'm not expecting anything big, or even at all. But I've gone full skeptic on anything having to do with the Tigers. STRANGE BUT TRUE 2017 EDITION! Oh, hey tGreenWay, just saw this comment. I'm not expecting miracles either. 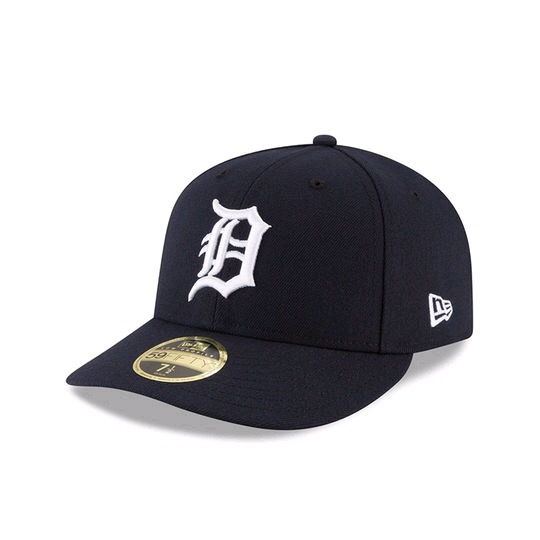 The Tigers have decided to make the D on the hats obnoxiously large because we can just leave things alone when they are nice. 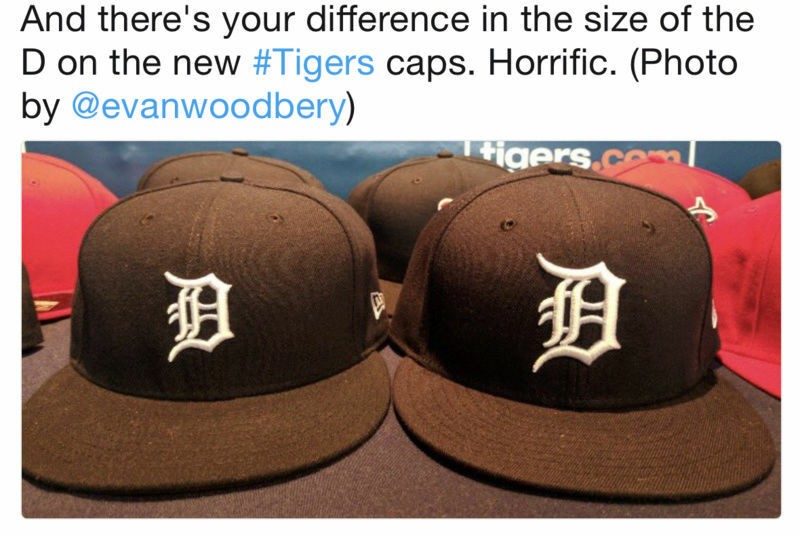 Travis of the Cosmos wrote: The Tigers have decided to make the D on the hats obnoxiously large because we can just leave things alone when they are nice. 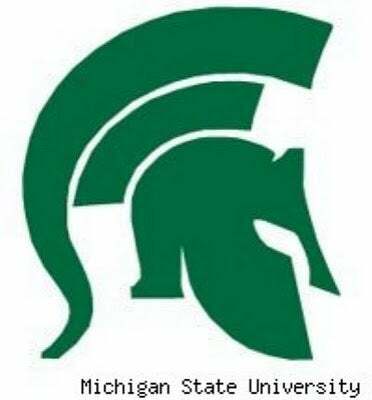 Reminds me of another logo change. Well, almost change. What the hell are you talking about, Travis? The olde English D on the cap now will also be going on the jersey. They aren’t changing any designs, and they aren’t making the D on the cap gigantic. Can’t you do anything right? Probably my bad eyes but that does nothing for me positive or negative. Welcome to my normal sight. Yeah that pic was a tweet was from Tony Paul, where he says "HORRIFIC"